Russia is an amazing destination for enquiring minds. Both St Petersburg and Moscow will open your children's eyes to a very different range of cultural activities. See the Cosmonaut Space Museum or the Ice Museum in Moscow. How about visiting a Cold War Bunker for history buffs or try your hand at painting a Matryoshka doll, there is something for all ages. Vietnam is rich in culture, and there are thousands of temple sites, but there's also water parks, beaches and lots of other things for children to do. Experience wildlife with primate and turtle conservation centres or stay in a luxury safari tent at Cat Nien National Park. 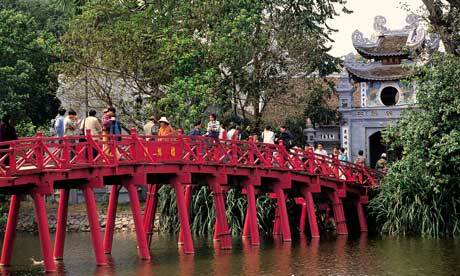 Or how about a crawl around in the tunnels of Cu Chi or cycle in Hanoi's old quarter? Rent a delightful rural cottage and explore the wonderful countryside. Harry Potter fans can see the real live film set at Alnwick, there's ancient castles, great surfing beaches, historical Hadrian's Wall, child friendly pubs and plenty more. This is a spectacular family holiday destination with colourful temples, dazzling monuments, elephant back safaris, dolphin watching, sun drenched beaches, primate conservation centres, ancient ruins and loads more. The small village of Flims is an amazing outdoor playground with cycling, hiking, nature trails to follow, crystal clear mountain lakes and warm lagoons. Try white water rafting, rock climbing, rope courses, and mountain biking. Plenty for all the family to enjoy. There's a lot more to Spain than the Costas. The north west regions of Galicia, Asturias and Cantabria have unspoilt sandy beaches, pretty medieval towns, rugged mountains, friendly people, delicious food and plenty of outdoor activities. Try surfing, kayaking, cycling, sailing, walking and lots more besides. Specifically designed with families in mind these luxurious retreats in Zambia also offer a relaxed paradise for children of all ages. There's nature walks, game drives, birding, workshops, beach cricket and lots more. A cruise and hotel combo offers plenty of child appeal plus an amazing family adventure. See green turtles, frigate birds with bright red throat pouches and marine iguanas. There's tropical forests, cycling, guided hikes as well as a lovely beach. 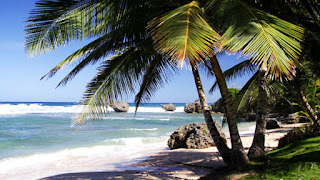 Cobblers Cove, an English country house in Barbados is perfect for a family holiday. Try your hand at tennis, sailing, swimming with turtles, and arts and crafts. There's also windsurfing, snorkeling, kayaking and sailing. Delicious children meals, cocktails for the adults, and afternoon tea. Families can also take a ride in a submarine or a jeep safari. This tiny island (20 square km) is both beautiful and traditionally Greek. There's walking, sailing, snorkelling and tennis all at close hand, plus caves to explore. Small boats can be hired to explore the tiny bays and regular ferries will transport you on day trips to other islands. Ten very different secret secret spots for family holidays. Which one do you fancy?